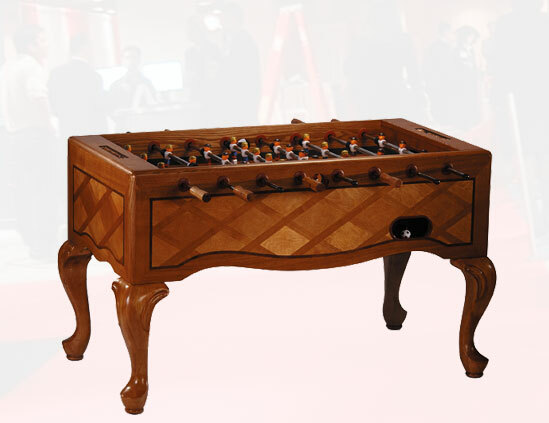 Behold our Queen Anne inspired, furniture quality foosball / soccer game table. ABC Billiard Plus offers you this gorgeous Honey finished table in solid Maple wood with veneer inlaid cabinets. Enjoy one of the fastest and most stylish game tables ever created in your home.